Collect the Gift for the Kids make them happy. Collect all red gifts, and not green gift. Otherwise all collected gifts will be dropped. 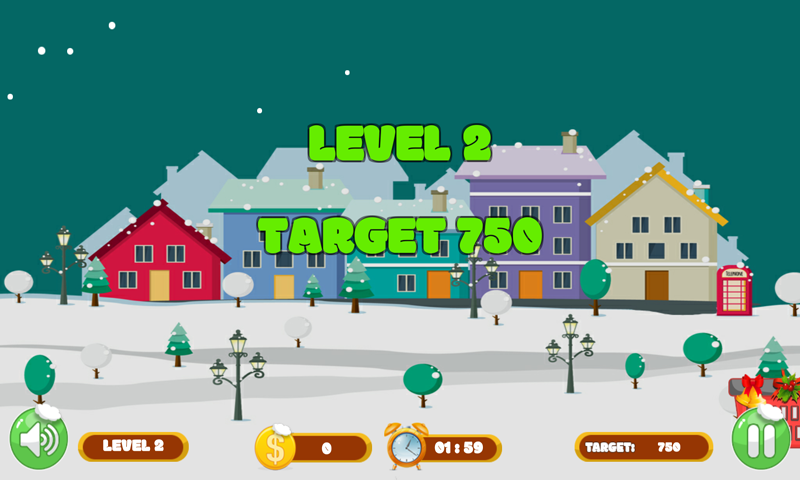 Each level contains specific number of score targets within specific amount of time duration. Achieve target and make children happy with toys. Gifts are falling from the sky and you are responsible for making this Christmas celebration a big one. Collect maximum gifts you can, and make everyone happy.